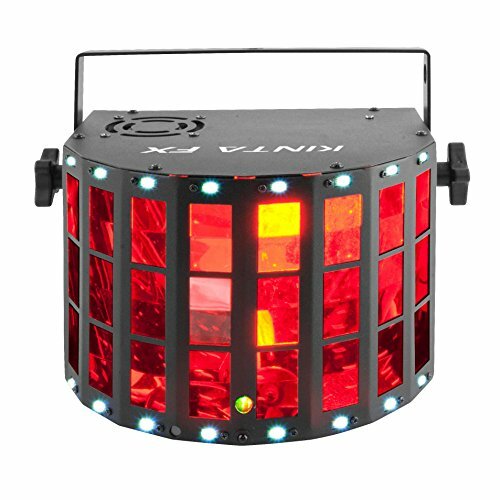 The Chauvet Kinta FX combines an LED derby effect, laser and SMD strobe in one compact fixture. These effects can be coordinated to create a variety of exciting looks that feature multicolored derby beams, dynamic strobes and chases plus hundreds of sharp red and green laser beams. Control this versatile Kinta FX easily via DMX, master/slave, optional IRC-6 remote or its digital display. Multiple units can be power linked to save time running cables and extension cords. It fits best in the CHS-30 VIP Gear Bag.